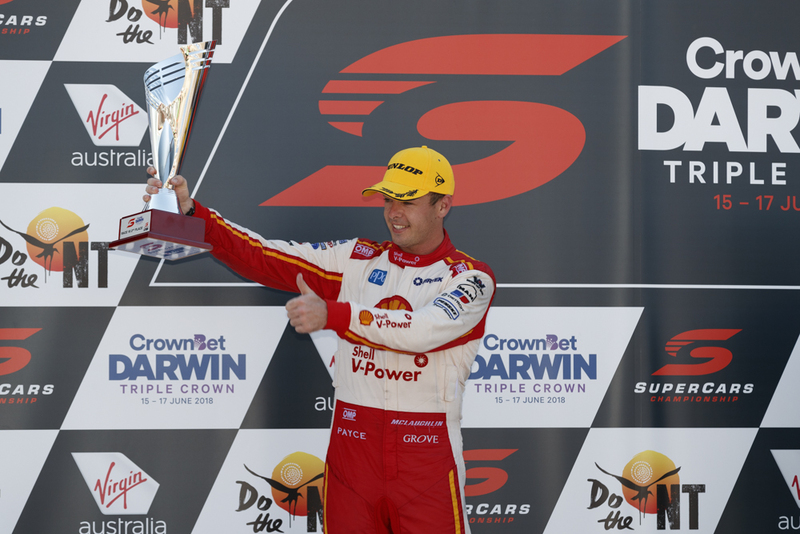 Scott McLaughlin was relieved to extend his championship lead with a second-place finish on Sunday in Darwin after an overheating engine threatened to derail his charge. McLaughlin was running third, right behind Rick Kelly’s Nissan, when smoke began trailing from the Falcon as the 70-lap contest approached its midway point. Engineer Ludo Lacroix immediately informed McLaughlin that the engine’s oil was overheating, asking the driver to get clean air to the nose of the car when he could. 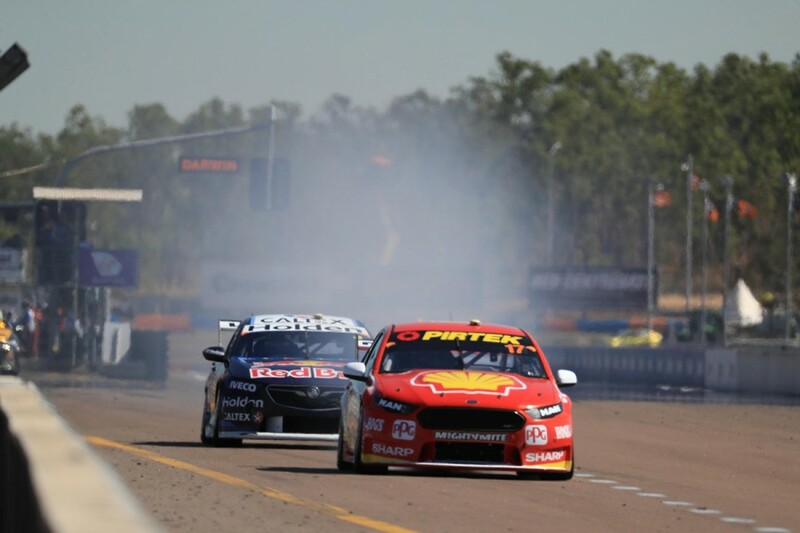 More smoke billowed as McLaughlin left the pits following his second stop, from which he emerged ahead of Kelly and with Jamie Whincup right on his tail. Although running in clean air, the Ford continued to burn oil, but made it to the chequered flag regardless, with no mechanical disaster or black flag forthcoming. “I had warnings during the first stint behind Rick,” McLaughlin recounted, having also battled without his helmet fan for much of the contest. “They told me that everything was fine. Then towards the end [of the stint] they were telling me to get clear air, so I knew something wasn’t quite right. “The first time I really noticed the smoke was a couple of times I had a couple of puffs in the cabin and I was like ‘that’s not right’. “And then coming out of the pits that last time was crazy. I was like ‘that’s full on’. It definitely wasn’t tyre smoke, that’s for sure. 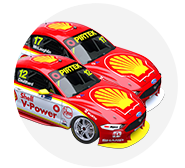 McLaughlin fought a lone hand for Ford throughout the weekend, battling against Kelly’s Nissan and a sea of ZB Holden Commodores. The overheating issue occurred on a circuit where the long main straight put aerodynamic drag under the spotlight. Lacroix’s efforts to make the Falcon as slippery as possible in a straightline to combat the ZBs is thought likely to have contributed to the overheating. 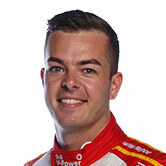 Shell V-Power Racing managing director Ryan Story stressed post-race that the team would investigate the issue, saying Fabian Coulthard’s car also ran hot on its way to eighth place. “Both cars got quite hot. We saw a similar issue with both cars,” said Story. “We saw a bit of oil surge and it's finding its way onto the exhaust [causing the smoke]. “As soon as it got a bit of cool air and the temp dropped it was ready to roll, so it's something we need to work on. “We probably need to change the design and make that a bit tidier, but we'll do that.